Angry Birds is making the jump to augmented reality (AR) with its new iOS game, Isle of Pigs. The series is known for flinging colourful birds with special abilities to knock down evil green pigs and wooden buildings. However, the addition of AR allows players to move around the stages and shoot the birds from different sides or angles. Angry Birds AR: Isle of Pigs specifically uses the ARKit, Apple’s virtual reality platform, to create these augmented stages on the ground or any flat surface. 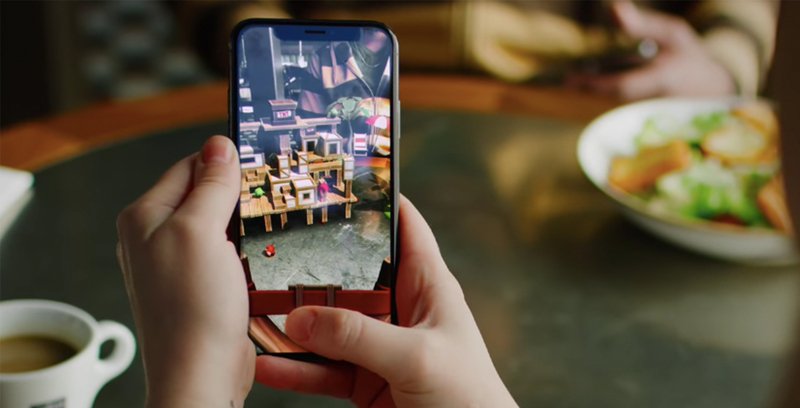 As such, the game is only available for iOS devices that support Apple’s AR development framework ARKit, which includes the iPhone 6s and above, 5th-generation iPad, and every iPad Pro model. However, Rovio, the studio behind Angry Birds, has said that it’s exploring bringing Isle of Pigs to other AR capable platforms. This means that an Android version of the game could be in the works. Angry Birds AR: Isle of Pigs is available for pre-order and will launch as a free-to-play game.